After receiving billions in tax cuts at the end of last year, oil and gas companies can expect another year of record-breaking profits. While Exxon alone received $5.9 billion in tax breaks, companies that do oil exploration can expect an additional $190 billion in profits. And yesterday, the second-largest coal company in the country, Arch Coal, announced the new tax plan would lower their tax rate to “effectively zero.” To pay for these giveaways, the Trump budget proposes cutting several programs that enforce pollution laws, fund clean energy innovation, and protect outdoor places. Trump’s cuts effectively subsidize oil, gas, and coal companies, severely hamper renewable energy growth, all while weakening protections for public health and the outdoors. The Center for American Progress analyzed the Trump budget to highlight some of the many ways it will benefit the fossil fuel industry. The Trump budget proposes a 34 percent cut to the Environmental Protection Agency (EPA), the most to any department or agency. The EPA is responsible for monitoring air and water quality and enforcing pollution limits. Budget cuts would hamstring the EPA’s ability to fulfill its mission and allow for increased leniency for corporate polluters in the oil and gas industry. Additionally, the budget request offers a clear giveaway to these special interests by proposing a provision “to specifically assist the oil and chemical industries in their compliance with EPA regulations, the Budget proposes to institute a voluntary fee that can be paid by a facility to have EPA provide on-site compliance assistance.” This measure could ostensibly allow individual companies or facilities to pay EPA for more favorable or lenient compliance standards. 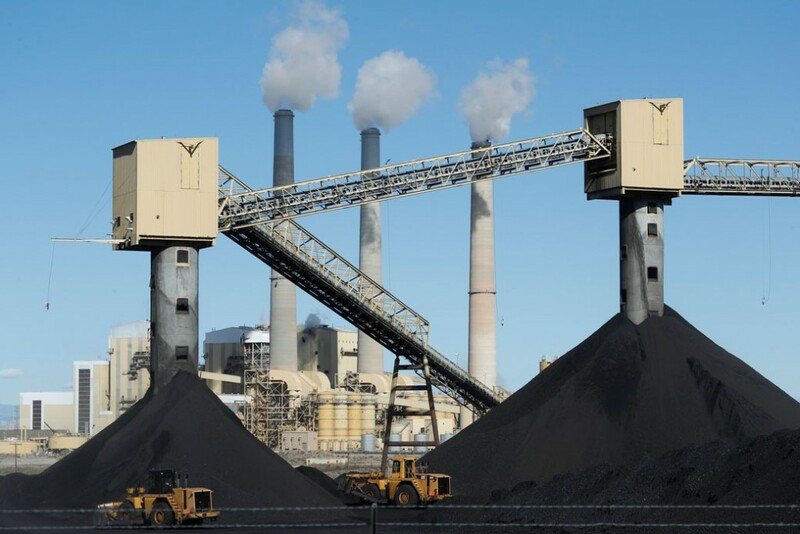 By suggesting a 72 percent budget cut to the Department of Energy’s renewable energy and energy efficiency programs, the Trump administration is clearly signaling their desire to keep the United States reliant on coal, oil, and gas for generations to come. The administration proposes to eliminate grants for innovative renewable energy technologies, while simultaneously increasing funding for so-called energy dominance projects with a focus on oil and gas research. Additionally, the budget request includes additional funding for the department’s Office of Fossil Energy. By favoring oil and gas interests, the Trump administration threatens to stall the clean energy sector’s progress, setting the U.S. economy back and limiting growth for the jobs of the future. In another effort to cling to the past instead of leading the country in the direction of clean, affordable energy independence, the Trump administration would increase the budget for mining and drilling on public lands while slashing the budget for renewables. Compared to the budget enacted in fiscal year 2017, the Trump proposal would increase federal spending for coal from public lands by 80 percent, onshore oil and gas by 13 percent, and offshore oil and gas by 4 percent. At the same time, public lands would see a budget drop of 45 percent for renewables onshore and a 13 percent cut to offshore wind. The Trump administration proposes a 16 percent budget cut to the Department of the Interior, while still providing a boost to fossil fuels. The budget requests additional funding for programs that promote and facilitate fossil fuel development and specifically commits to “taking steps to initiate oil and gas leasing in the coastal plain of the Arctic National Wildlife Refuge.” Additionally, it would cut the endangered species listing program by 47 percent, making it easier for fossil fuel companies to drill and mine without considering the impacts on endangered wildlife. By slashing funding across environmental programs, the Trump administration proposes to eliminate more than 2,000 full-time positions at the EPA. The proposed cuts to the Department of the Interior would eliminate more than 4,500 jobs, with the largest reductions to the National Park Service—including park ranger positions—while shifting staff to the offices that manage oil and gas development. This proposed move comes at a time when national park visitation is at an all-time high. But instead of urging the parks to accommodate these new visitors and adequately staff park rangers, the Trump administration is proposing building oil and gas pipelines through America’s treasured national parks. And just as climate change is worsening coastal storms, flooding, and erosion, the Trump budget proposes complete elimination of multiple initiatives within the National Oceanic and Atmospheric Administration (NOAA) that support improved coastal resilience, scientific research, and protect coastal wetlands. After a year of extensive and egregious giveaways to oil, gas, and coal companies, President Donald Trump’s budget continues this trend by prioritizing industry profits over public health, clean energy, and public lands and waters. This budget request clearly demonstrates where the Trump administration’s allegiances lie: not with the American people, but with special interests. Erin Auel is the campaign manager for the Energy and Environment War Room at the Center for American Progress. She thanks Mary Ellen Kustin, Matt Lee-Ashley, and Shiva Polefka for their contributions to this column.